Sherwood Fleming’s story reads like something from the 1950s or ‘60s rather than 2015. He grew up picking cotton near Lula, Mississippi, on land owned by a man called Limping Jesus. In the 1950s, he moved to California, recorded a few songs for labels such as Modern Records and Highland without any (financial) success, despite the likes of Larry Davis covering his songs, and he then gave up on music. Fast forward to 2014, and Dynaflow Records track Fleming down and coax the now nearly-80 year old to play a few gigs and record a new LP. 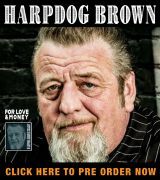 Most blues fans are familiar with the tales of the re-discoveries of the likes of Son House or Mississippi John Hurt, but it comes as something of a surprise that such events are still happening today. Dynaflow, and in particular label boss Eddie Stout, are to be roundly congratulated. The result is a little gem of an album. 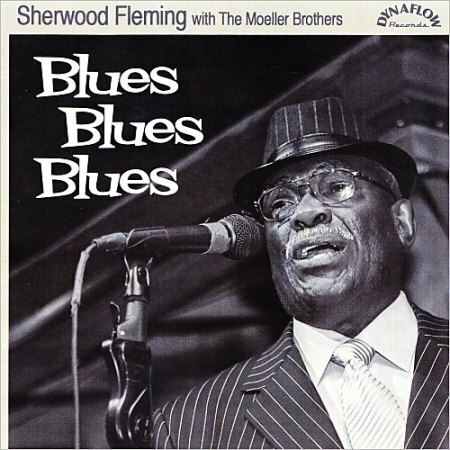 The 12 songs on Blues Blues Blues include four Fleming originals, together with some choice lesser-known classic covers. The two most familiar songs are probably Ike Turner’s “Bold Soul Brother (Bold Soul Sister)” and “My Time After Awhile”, covered by everybody but perhaps most famously by Buddy Guy. Fleming’s muscular voice remains supple and powerful, reflecting the influence of both Howlin’ Wolf (on songs like “Gotta Hold On” and “Non Support Blues”) and Otis Redding (on the glorious 60s-style soul of Sandra Rhodes’ “Lay It On The Line”). He is also unafraid to hurry a vocal line, or to hang it off the rhythm slightly, providing an emotionally powerful impact on tracks such as “Good Woman”. His most moving moment however comes in the closing track, an achingly beautiful a capella version of Mahalia Jackson’s “Trouble Of The World”, on which he sounds as old as Methuselah but still sings with a powerful undercurrent of hope and belief. There is also a surprisingly effective rap on “History”, a furious and articulate rant against racial abuse. While Fleming’s voice is voice is fine fettle, Stout’s choice of some of Austin’s leading musicians as the backing band is inspired. Featuring the Fabulous Thunderbirds’ Johnny Moeller on guitar and Jason Moeller on drums, together with Nick Connolly on piano/organ, Kaz Kazanoff on saxophone and Burly Manor on bass (Stevie Fulton also adds guitar to “Bold Soul Brother (Bold Soul Sister)” and “Gotta Hold On”), the band absolutely tears it up. Inviting famous musicians to contribute to albums always carries a slight risk. They may over-play and try to make everything about them. Or they may under-play to such an extent that their contribution is lost in the mix. The musicians on Blues Blues Blues however play with such authority and passion and such an irresistibly greasy “tight-but-loose” groove that the album sounds like a band at the top of their game rather than a collection of random musicians. Johnny Moeller in particular adds myriad top drawer (and left field) fills and solos without ever overwhelming the main attraction while Kazanoff’s warm and emotional sax is typically tasteful and supportive. When an album is titled Blues Blues Blues, and the track “Blues Blues” even has the nerve to open with the line “I woke up this morning”, then the listener usually has a pretty fair idea what to expect. 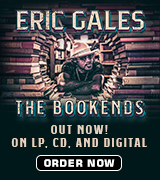 In this case, you have one of the better traditional electric blues albums of the year, served up with a healthy infusion of soul and a dash of gospel. Warmly recommended.